JNU student Umar Khalid who had been arrested for sedition earlier this year compared slain Kashmiri militant Burhan Wani to Argentine revolutionary Che Guevara, kicking off a massive troll attack on social media. Khalid said in a Facebook post on Saturday: "I don't care if I fall as long as someone else picks up my gun and keeps on shooting. These were the words of Che Guevara, but could have just been #Burhan Wani's too." He added: "Burhan wasn't scared of death, he was scared of a life lived in subjugation. He detested it. He lived a free man, died a free man. Doomed is the occupation! Indian state, how will you defeat a people who have defeated their own fears?" His Facebook post was lifted and shared on TV by news channels that accused him of "spewing venom against India", leading to vicious attacks by trolls on social media, Khalid told The Telegraph. "This is an extremely disturbing method of bullying by TV anchors and trolls - of inciting a lynch mob to pick on me when the truth is that hundreds of people are writing about Wani's killing and the aftermath," said Khalid. At 3 am on Sunday, Khalid wrote on Facebook: "Troller army, I accept defeat. Of course, how on earth can I handle hundreds of you trolling me in such a coordinated way. Yes, I was wrong, I should have joined you in rejoicing his death." He added: "Traitor, terrorist, militant.... I should have also joined in the chorus. Pardon me, I seek your forgiveness. From tomorrow, I will join in to satisfy our nationalist machismo self. I will celebrate killings, rapes, torture, disappearances, AFSPA and everything else." 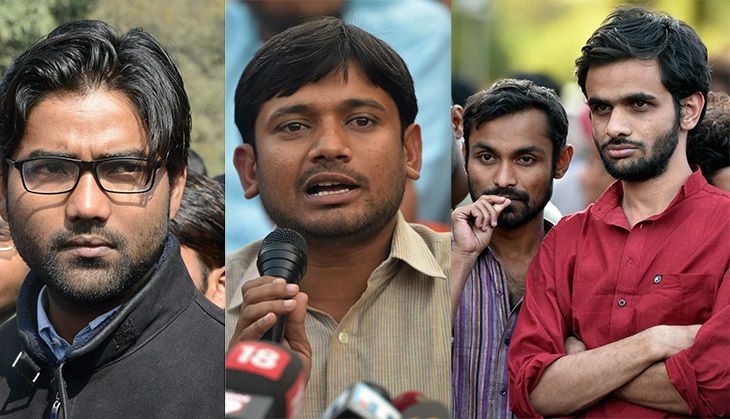 Khalid was one of three JNU students arrested for sedition after an event on campus on 9 February that protested the hanging of Parliament attack convict Afzal Guru. Burhan Wani, the poster boy of Kashmiri militants, was killed in an encounter by security forces on Friday. Protests against his death continue in Jammu and Kashmir, with about 21 people dead so far. Hundreds die in 'relentless fighting' in South Sudan. Civil war 2.0?